A unique partnership with Google on a new seminar series addressing gender and racial gaps in the film industry, particularly in technical cinematographic roles, is among new highlights unveiled today by Miami Dade College's Miami International Film Festival, as Festival organizers count down to the 33rd edition of the acclaimed annual event March 4 - 13, 2016. The Festival is the only major film festival produced and presented worldwide by a college or university. The Google Seminar Series on Gender & Racial Gaps In Film & Tech will take place in The Idea Center at Miami Dade College and other locations over four days, March 5 - 8, within the overall Festival program. 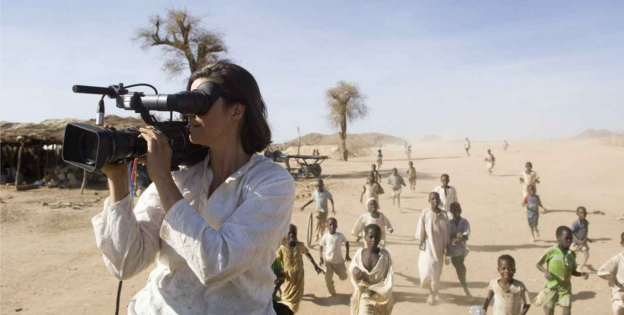 Among the highlights of the series will be veteran cinematographer Kirsten Johnson's screening and discussion of her feature memoir, Cameraperson, set to world premiere at Sundance Film Festival later this month. Johnson's film covers her extensive career working on such films as Citizenfour and The Invisible War. Tocando La Luz (Touch the Light)Jennifer Redfearn’s (USA), which follows three interwoven stories of blind residents in Havana, Cuba. The 33rd annual Miami International Film Festival will take place March 4-13, 2016. Advance ticket packages, plus tickets for the Opening Night Film and Party, are already on sale at www.miamifilmfestival.com or by calling 1-844-565-6433 (MIFF).